When consulting with an attorney on which Florida estate planning documents you should obtain, one of the documents that is most commonly included is the durable power of attorney. While including a durable power of attorney is wise for anticipating the worst case scenario, there are precautions that should be taken as well. In short, a durable power of attorney is basically extension of yourself and gives whomever is appointed the power to make crucial decisions. In this post, we’ll cover some things that should be considered. Under section 709.2102 of the Florida Statutes, a power of attorney is a “writing that grants authority to an agent to act in the place of the principal, whether or not the term is used in that writing.” An agent is whomever you choose to serve as your power of attorney, while a principal is a term referring to yourself, or the person who creates the power of attorney. In the state of Florida, an “agent” must be 18 years old, but does not necessarily have to be a person. Section 709.2105 of the Florida Statutes also states “a financial institution that has trust powers, has a place of business in this state, and is authorized to conduct trust business in this state” may also serve as an agent of a power of attorney. 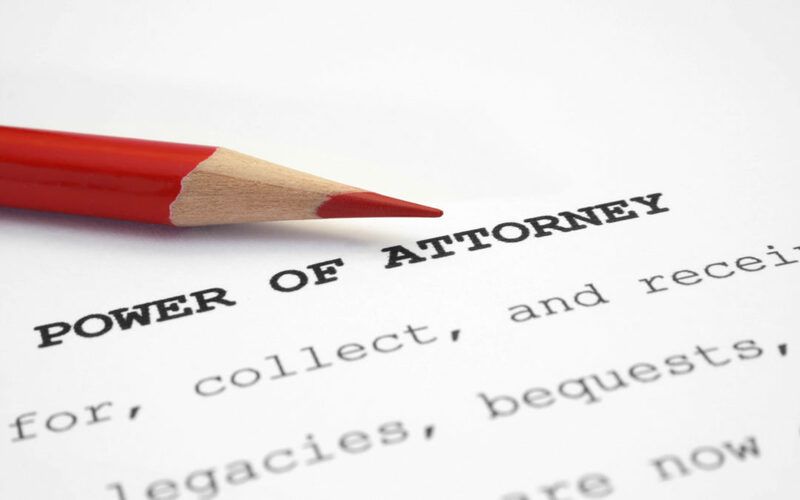 What can an agent under a power of attorney do? As stated in section 709.2201 of the Florida Statutes, an agent “may only exercise authority specifically granted to the agent in the power of attorney and any authority necessary to give effect to that express grant of specific authority.” As the principal, you are able to give express authority and parameters to your agent. If there are certain powers you do not want your agent to have, those are specifics that can be included in your document. Who should I designate as my agent under a power of attorney? When considering who should become your agent under your power of attorney, one of the most important questions you should ask yourself is “is this someone that I can trust?” While this question seems to be a running theme with most life planning documents, this question is especially important to agents under power of attorney. An agent under a power of attorney has the power to make important decisions on your behalf, including financial decisions. Such a power should only be given to someone that is trustworthy and someone you know will act in your best interest. While the Florida Statutes only require the person to be 18 years old, you have free reign in who you decide to appoint as your agent. The most common agents under Power of Attorney tend to be close family members, such as a child or a sibling. Contact us today to schedule a free consultation regarding a Florida power of attorney. Any power of attorney is a powerful document that can have serious consequences depending upon whom you name as an agent or on the powers that are included in the document. If a power of attorney is not properly drafted, it can result in a power that is required not being available. Only discussing your needs with a Florida attorney can help to ensure that the power of attorney does what you want it to do when you need it most. Contact us today to schedule a free consultation with one of our attorneys.